Due to their movements through various habitats including garbage and sewers, they are capable of transmitting diseases such as salmonella bacteria and many other forms of viruses. German cockroaches have flattened oval bodies with long thin legs. They are attracted to food, water and shelter. They will eat anything and are capable of transmitting diseases such as salmonella bacteria and many other forms of viruses. The most common cockroach in North America is the German cockroach. It has a flattened oval body with long thin legs and measures about 15 mm when fully grown. They are light brown with two dark brown stripes running lengthwise on the thorax and with wings. Cockroaches can be found in every part of the home. They hide behind appliances, underneath sinks, under floor drains and inside of cabinets. 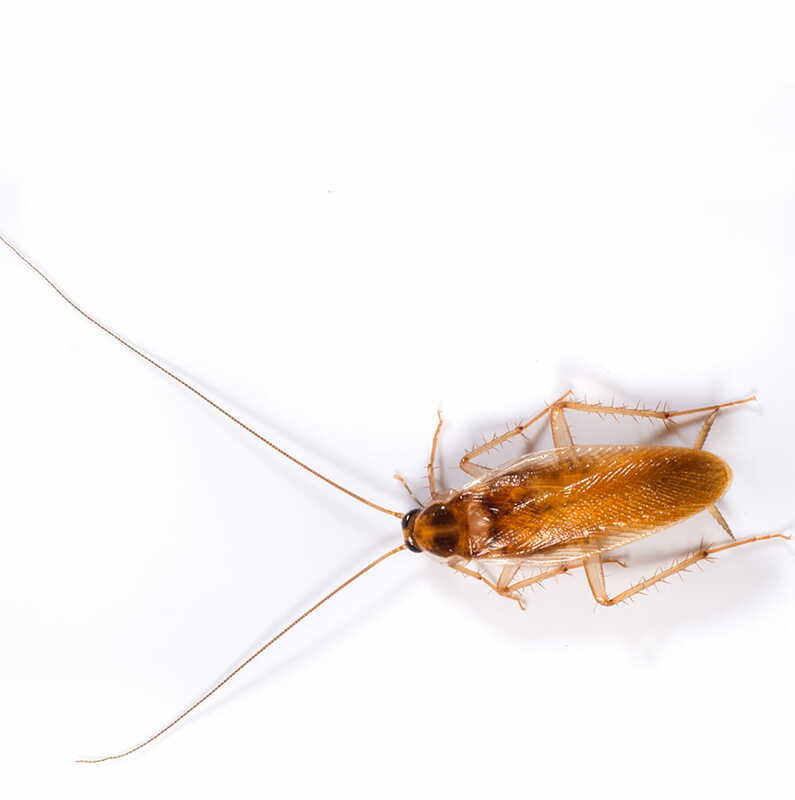 Cockroaches can nest in tight cracks in bathrooms, kitchens and basements. 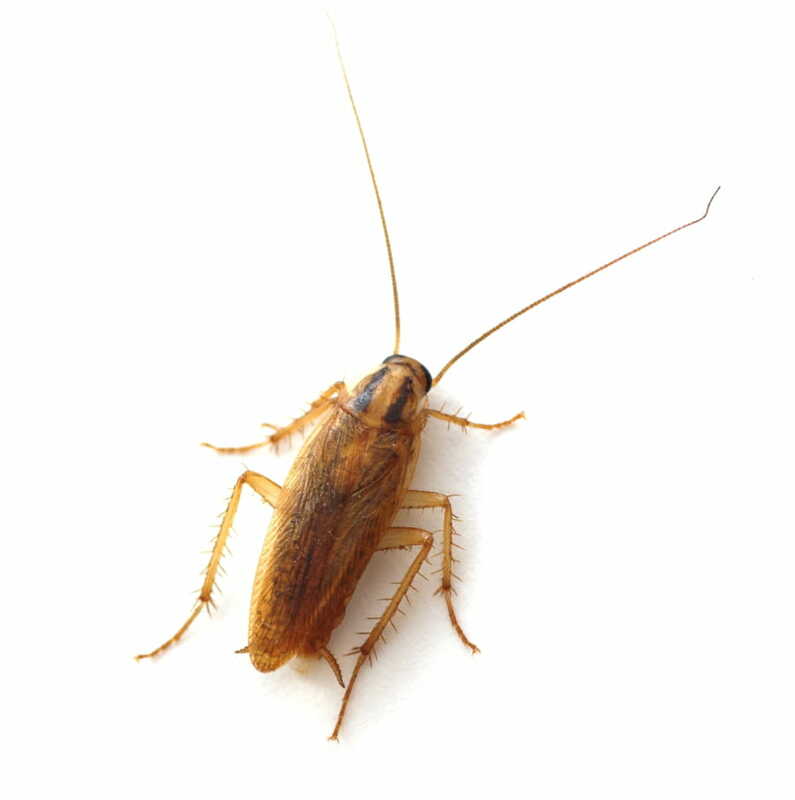 Since most cockroaches are active at night, many people may be completely unaware of their presence in their property. A female German cockroach carries an egg capsule containing approximately 40 eggs which she drops prior to hatching. Development from eggs to adults takes about three to four months and can up to a year. They can produce up to eight egg cases in her lifetime. An infestation of cockroaches can involve thousands of cockroaches. No. Cockroaches do not normally damage properties. Are cockroaches hazardous to humans? Yes. Due to their movements through various habitats including garbage and sewers, they are capable of transmitting diseases such as salmonella bacteria and many other forms of viruses. When are cockroaches most common? Cockroaches are active year-round within properties. When am I most likely to see cockroaches? Cockroaches are nocturnal and are most active at night. Any sudden light will make them scurry for shelter. Are cockroaches only found under unclean conditions? No. They can be found under any condition, wherever food and warmth are present. 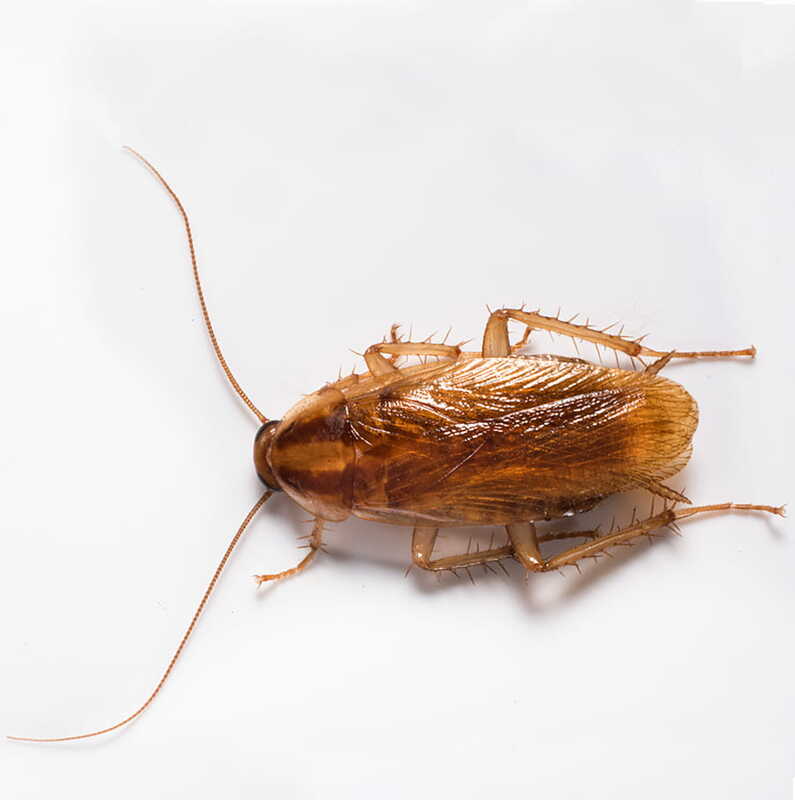 German cockroaches are a major problem in hospitals, hotels, restaurants, bakeries, butcher shops, multi-unit residences and homes. They are usually round around sinks, behind stoves and refrigerators, as well as in drains and cracks.